I am currently pursuing a Masters in Educational Leadership and Administration. I have also attended the University of the West Indies, Mona Campus in Jamaica where I obtained a Bachelor of Arts degree and a Postgraduate Diploma. Regarding academic achievements, I am extremely proud of being the top-performer (of my cohort) from my primary (elementary) school in the then exit examinations for high school. This outstanding performance enabled me to attend the top performing traditional high school in my parish that is ranked among the best in Jamaica. However, my socioeconomic status as a high school and undergraduate student negatively affected my academic performance. Nonetheless, I was proud to have completed high school and thereafter, my undergraduate studies within the stipulated three years. Subsequently, I commenced teaching and was able to gain a Teacher Scholarship from the Ministry of Education, Jamaica, to pursue a Post-Graduate Diploma in Modern Foreign Languages. I was extremely happy at that time because I knew that my socioeconomic status would not be able to deter my academic performance. I did extremely well considering that I was pregnant and gave birth to my first child within that academic year. I graduated with distinction. Additionally, in 2017, I was awarded and recognized as the most outstanding international student in Manitoba in the post-secondary category by the Manitoba Council for International Education. I felt honored and happy that I was able to represent myself and the BU community well. It was the first time that a student from BU won this award. As it relates to community involvement and volunteer work, I am always happy to give of my time because often times, my involvement has helped vulnerable groups within the society. My involvement started in 2002 when I became a part of a youth club and then, about three years later, a member of the planning committee for my community. As a result of these organizations, I was able to plan and execute initiatives that benefited youth (especially at-risk youth) and elderly persons. These initiatives included getting resource persons to speak at meetings, organizing sporting activities, and community projects. The projects entailed cleaning up the community, putting in place pedestrian crossings, and caring for the less fortunate. As a teacher, I have mentored a number of students. The majority of those students matriculated to post-secondary institutions. In addition, I served as a School Challenge Quiz and debate coach and the leader of the Spanish Club. However, my zeal for serving did not end when I came to Canada. I have contributed to the BU Sexualized Violence Policy by being a part of the Sexual Assault Advisory Group. I am currently the Graduate Studies Director representing the interest of all graduate students on the Brandon University Students’ Union (BUSU). Furthermore, I represent graduate students on the Graduate Senate Committee, the Faculty of Education Graduate Studies Advisory Group, as well as the Academic Dishonesty Policy Committee. Additionally, I am presently the Canadian Federation of Students’ Deputy Chairperson for the National Graduate Caucus and the International Students’ Commissioner for Manitoba. I was born in Jamaica and raised in a small rural community. My family was from a humble beginning. We did not have a lot but we lived within our means and shared with persons who were less fortunate whenever possible. A significant part of my early childhood years was spent with my great-grandmother who was a firm believer in education. I was spotted then as the brilliant child of the family and my grandma did everything possible to ensure that I accessed education. From those moments, I came to the realization that education would be the only way for me to climb up the social ladder. However, accessing education then was never easy. I can recall going to high school without lunch or lunch money and only the fare for the route taxi. Nonetheless, I was always happy to attend school despite not having lunch money or even being ill (sometimes). Though there were many struggles from primary (elementary) to university, I did not let them define me or hinder my ultimate success. I am extremely passionate about education and always willing to unearth knowledge. Quite fittingly, I became a teacher and continued to impact the lives of children positively. I taught students who were from a very low socioeconomic background and I understood their challenges. I ensured that students without lunch got something to eat and used my money to contribute to their bus or route taxi fare on countless occasions. So it was always a happy moment for me whenever my students were successful, regardless of the degree of success. Therefore, teaching was more than just a job; it was my way of continuing to contribute to nation-building. I would definitely have to say teaching (education) chose me because while growing up, it was my desire to venture into other areas. However, I have never regretted becoming an educator. If I were to start all over again, I would choose teaching (education) before it selected me. As a result of my passion for serving, I see myself continuing on the path of nation-building and positively influencing individuals. Based on my community involvement, educational and leadership experience, I am poised for further success. Success for me is not merely personal but being able to effect positive and equitable changes that will benefit individuals within the society. I would like to nominate Natashalee Thompson for an IWD award. Natashalee is a graduate student in the Faculty of Education in the Leadership and Educational Administration stream. Since coming to Brandon from Jamaica Natashalee has consistently demonstrated leadership in the classroom, the faculty and on campus. In the classroom she is always well prepared and an active participant frequently incorporating dramatic flair into her presentations. Her assignments were thoughtful and of a very high standard throughout her coursework and she is currently working on her thesis investigating the experiences of school leaders as they transition from punitive to positive school-based discipline. Within the faculty she has helped organize a Colloquium for International students, served as a rep on the grad student advisory committee and presented at the graduate student orientation. Within the university Natashalee has been the BUSU Grad student representative, organizing a Christmas dinner in 2017 and mingling activities for grad students each year. Natashalee listens to students and has been a vocal advocate for international students speaking up about issues with regards to course structure, time for completion, health coverage, tuition, and support for students needing help with academic writing. 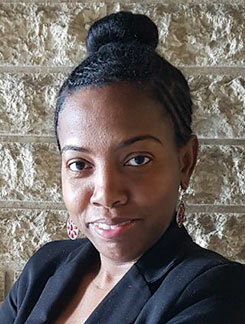 Besides being an active and engaged student Natashalee is the mother of two young children and has worked on campus in the bookstore and for the Rural Development Institute. She epitomizes the kind of strong women to be honoured on International Women’s Day.